I’ve been lucky enough to get a few freelance writing assignments. 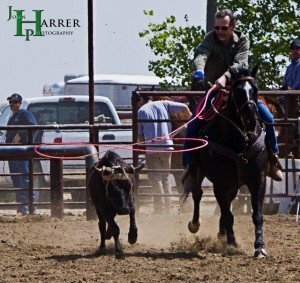 For my latest article I had an opportunity to do a sidebar about team roping in Bakersfield with champion Team Roper Denny Watkins. Denny made it to the NFR 19 consecutive years. He still ropes competitively. He also teaches team roping to ropers of all levels. Denny offers a great insight to the word of team roping and with 40+ years of experience he has a ton of stories to tell. Once again, it was an impromtu interview just before one of Denny’s Team Roping practices. 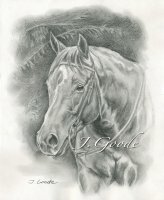 You’ll hear some background noise (sorry) of him getting his horses ready to work. Denny talks about his Dad and his early years with horses. Then, Denny tells the story of how he got into team roping. Along the way you’ll hear some stories about his years at the NFR. And, you will also get some insight into the world of team roping, how the scoring is set up and how money is earned. Denny has a series of short instructional videos on Vimeo VOD and Youtube. These videos offer offer hints and tips every team roper can use. Most of these videos are less than 2 minutes. They are designed so you can watch them on your phone before an event or practice. They can improve your team roping.